Ami McConnell is a Nashville-based writer, editor, and publishing consultant. 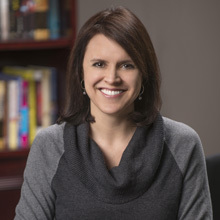 She has served as VP and Editor-in-Chief at Howard Books, an imprint of Simon & Schuster, and as Senior Acquisitions Editor at HarperCollins Christian Publishing. Her editing credits include many New York Times bestsellers as well as RITA, Carol, and Christy award winners. She has edited renowned authors Colleen Coble, Ted Dekker, Homer Hickam, Karen Kingsbury, Max Lucado, Frank Peretti, and Wm. Paul Young, and has been recognized for excellence by the American Christian Fiction Writers and the Advanced Writers and Speakers Association. She formerly served on the Advisory Board of The Buechner Institute at King College and is an active board member of the Women’s National Book Association, Nashville Chapter. She and her family live in Nashville, Tennessee.